Hi Kathleen, on the confirmation email, could you click once more on ‘Yes, subscribe me to this list’ and let us know if you receive the PDF. Perfect explanations! 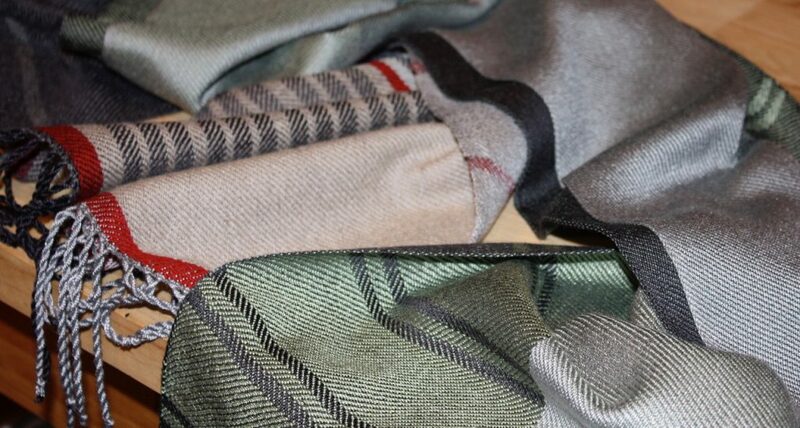 I try to impart all these ideas to new and experienced weavers- thanks once again for sharing your wisdom!!! 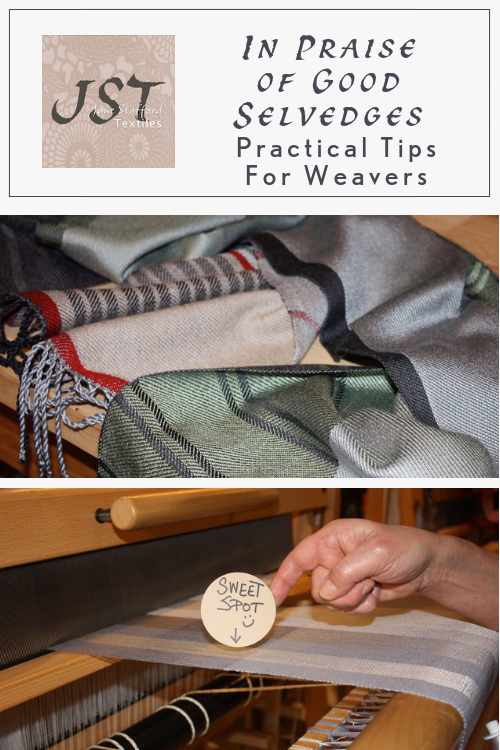 I am about to start a weaving class for new weavers and will be putting these tips to use right away as well as pointing them to your blog. I have lovely selvages. I was taught to keep my hands “palms to the sky.” Sometimes I don’t. 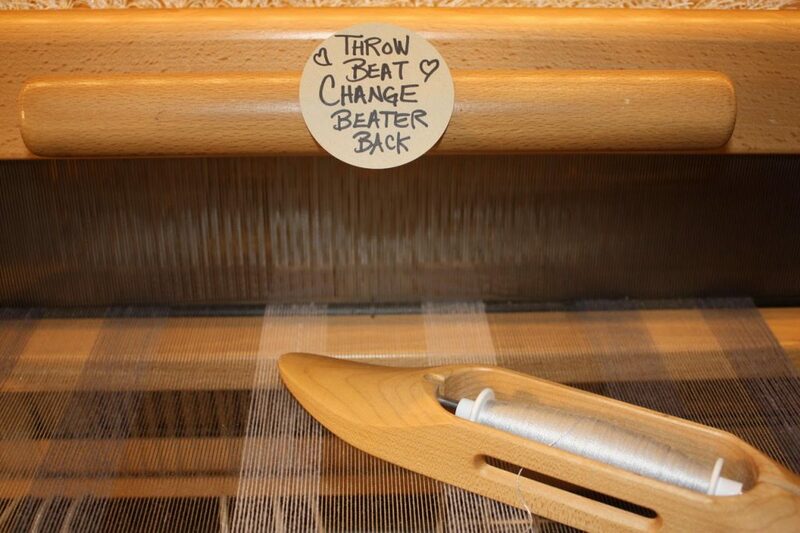 I sense that my weaving is faster when I go palms down. Either way doesn’t seem to affect the selvages. But I wonder if it’s affecting my back and shoulders. Do you have any thoughts on *why* palms to the sky is significant? Could this also be in the category of “find what works for you”? Hi Amy, I think it’s a question of “find what works for you” Jane likes the control of the shuttle she gets with “palms to the sky”. 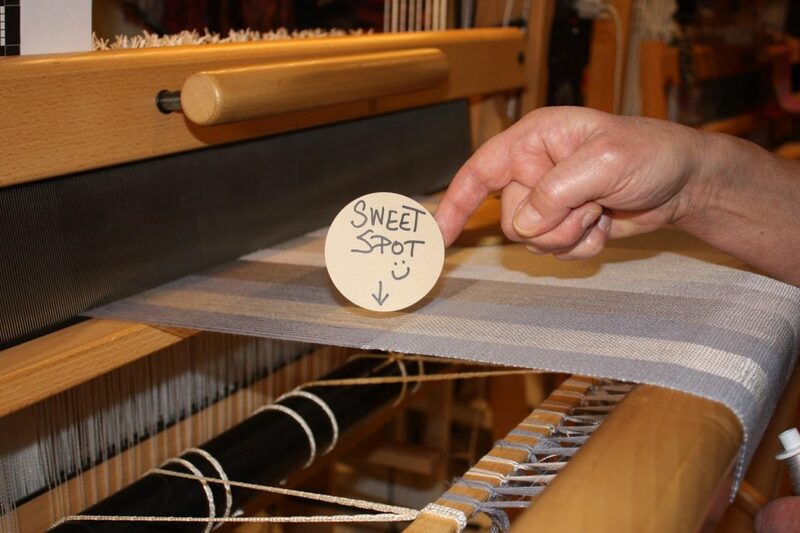 She controls the bobbin in the Schacht open bottom shuttle with her middle finger. 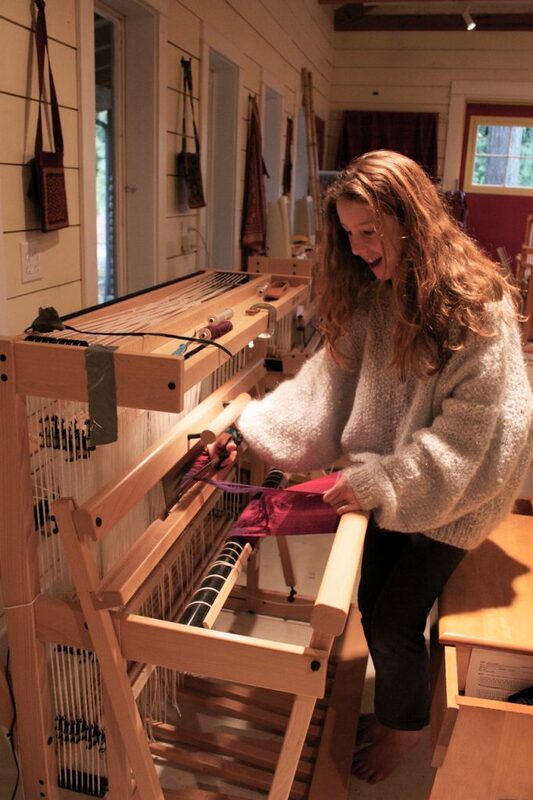 In Season 1, Episode 3 – Good Weaving Techniques – Jane goes through all the techniques she uses while weaving, including how to be kind to your body at the loom. Great advice, as always from Jane. 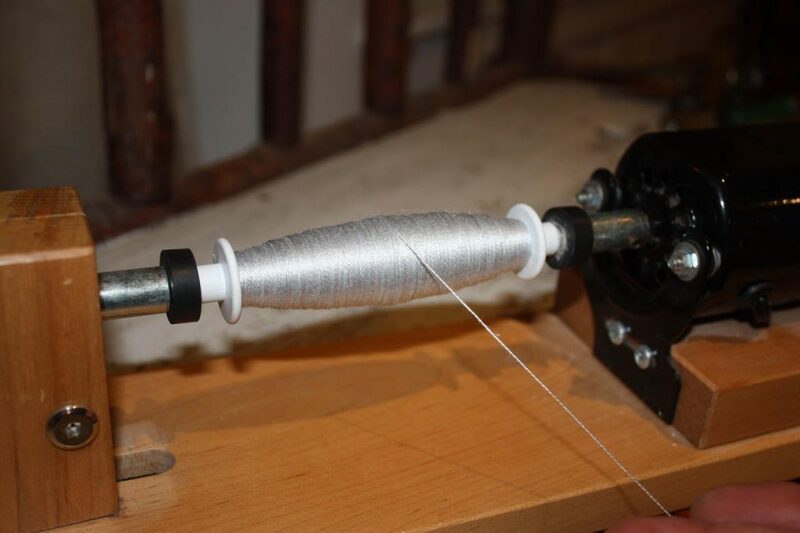 Winding on and the ‘sweet spot’ is a problem for me because my Louet Spring always locks up where the cable winds around the wheel. So, it’s frustrating to have to get up every inch or so to loosen the cable. Any tips. Perhaps a sprinkle of talcum to make it slip?? I’m up for any ideas. I am a new but passionate weaver. 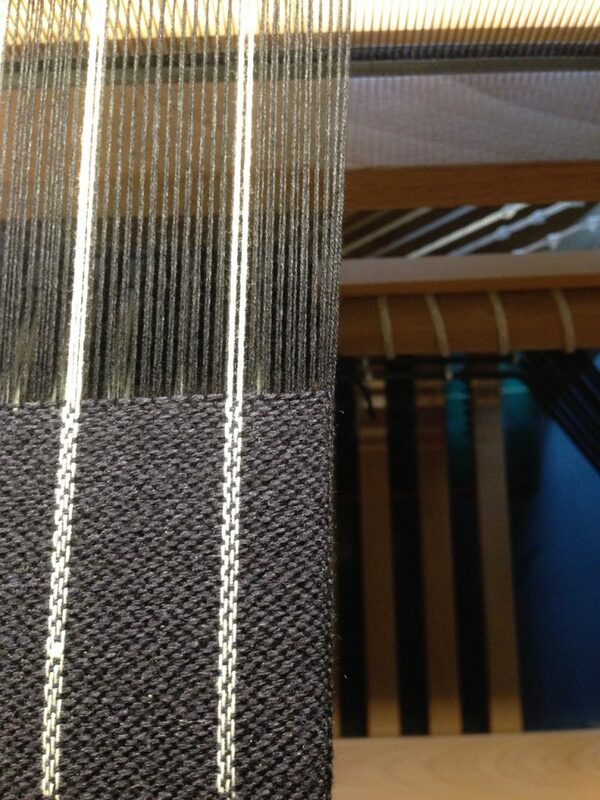 I should tell you that the “sequence of events “ was a great help to me to have acceptable salvedges in my first weaving. Thanks.